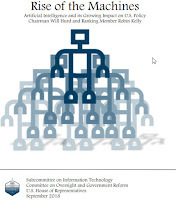 A new report from Congress expresses concerns that the United States is losing its edge in artificial intelligence (AI) over authoritarian regimes such as China and Russia. The chief recommendation of the "Rise of the Machines" report is to increase federal spending on research and development to maintain American leadership in AI. In response to concerns about AI’s potential economic impact, federal, state, and local agencies are encouraged to engage more with stakeholders on the development of effective strategies for improving the education, training, and reskilling of American workers to be more competitive in an AI-driven economy. The Subcommittee further recommends the federal government lead by example by investing more in education and training programs that would allow for its current and future workforce to gain necessary AI skills. In response to concerns about privacy, the Subcommittee recommends federal agencies review federal privacy laws and regulations to determine how they may already apply to AI technologies within their jurisdiction, and, where necessary, update existing regulations to account for the addition of AI. To account for potential biases in AI systems, federal, state, and local agencies that use AI systems to make consequential decisions about people should ensure that the algorithms that support these systems are accountable and inspectable. AI, using data, can pinpoint those who are most susceptible to disinformation with little human effort. This capability has the potential to greatly expand the number of people impacted in any disinformation campaign employed by hostile nation-states to disrupt another state’s political system. National security, crime, and terrorism could benefit from advances in AI. Autonomous vehicles, for example, could be tricked by hackers into misinterpreting stop signs with a few simple stickers that would otherwise appear innocuous, according to a team of academic researchers from four American universities. 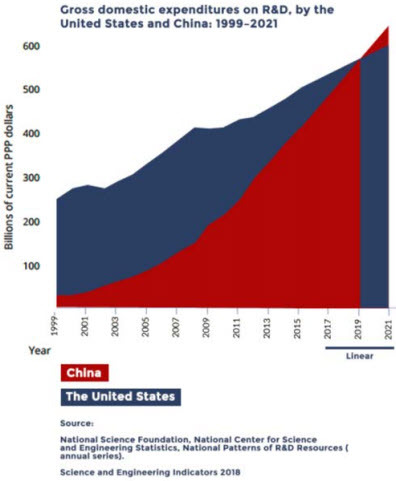 Considering the recent actions of adversary nations such as China, the federal government needs to ramp up the resources it devotes to AI, considering the potential for threats from our enemies.